The R4K Series 55" 4K Video Wall LCD Monitor from Orion Images is used for displaying one image across multiple monitors using one video source. It features a standalone 3840 x 2160 resolution panel and incorporates a 0.77" narrow bezel. 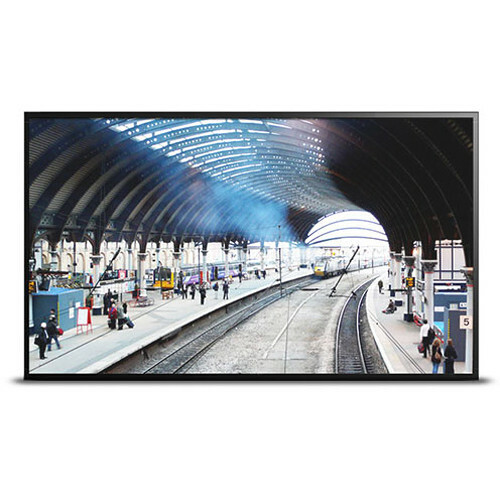 In addition, the monitor can also be used for corporate AV and Digital Signage applications such as shopping malls, airports, stadiums, retail, casino, and more. The monitor consumes less power and with auto pixel shift built in it is not subject to permanent, irreversible burn-in. Unlike individual mount LCD's that leave gaps between each monitor, a tiled video wall monitor offers more flexibility, scalability and the possibility for a higher resolution.